Cassandra Clare was born to American parents in Teheran, Iran and spent much of her childhood travelling the world with her family. After college, Cassie lived in Los Angeles and New York. She started working on her YA novel, City of Bones, in 2004, inspired by the urban landscape of Manhattan, her favourite city. City of Bones became the first book in the original The Mortal Instruments (TMI) series, which also includes City of Ashes, and City of Glass. 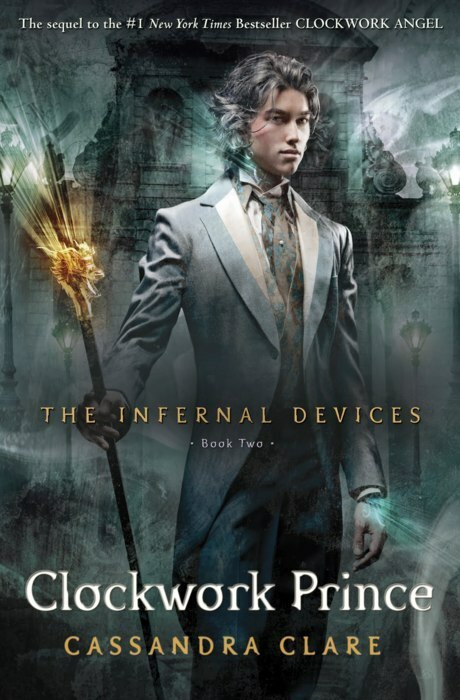 Clare is now concurrently working on a follow up TMI series, which includes City of Fallen Angels (2010), City of Lost Souls (May 2012) and City of Heavenly Fire (2013), and a trilogy set 300 years before TMI, called The Infernal Devices, which includes Clockwork Angel (2010), Clockwork Prince (2011) andClockwork Princess (late 2012). In the magical underworld of Victorian London, Tessa Gray finds her heart drawn more and more to Jem, while her longing for Will, despite his dark moods, continues to unsettle her. But something is changing in Will – the wall he has built around himself is crumbling. Could finding the Magister free Will from his secrets and give Tessa the answers to who she is and what she was born to do? As their search for the truth leads the three friends into peril, Tessa’s heart is increasingly torn, especially when one of their own betrays them. The second book in The Infernal Devices series is even more gripping and wonderful than the first. This is a truly unique series that highlights the skill and finesse of Clare as a writer. While Clockwork Angel focussed more on setting up the story and introducing major characters, this book was able to focus more on character development and the unfolding of major plot elements. I finished the book in one sitting, and now I am eagerly awaiting the publication of the third book, Clockwork Princess. Romantic elements take the forefront in Clockwork Prince, and while I found Tessa’s confusion heart breaking, I thought the story focussed too much on her inability to choose between Will and Jem. The mixed messages that Will sent her made it difficult for her, and when it was finally revealed why he acted that way, I was filled with sympathy for him. However, it was Jem’s steadiness and dependability which endeared him to me. The characters were, again, the best element in the book for me. They developed in wonderful ways, and while they didn’t always behave how I thought they should, they always stayed true to themselves. Charlotte and Henry overcame some huge barriers in this book and I was very happy for them. The most complex and interesting character is definitely Jem, but he was closely followed by Gideon and Jessamine. I loved getting to know the Lightwood brothers better, and of course, uncovering the complexity that lies under Jessie’s hard exterior was fun. This was a great read, which showcases the best of the young adult genre. I urge anyone who has it already to read it as soon as possible!